Jing Yi graduated from Nanyang Polytechnic in 2012 and attained her Bachelor of Science in Physiotherapy (Hons) from Trinity College Dublin in 2013. 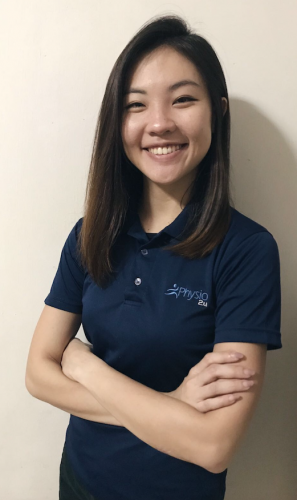 She has been working with JurongHealth since 2012, specializing in musculoskeletal physiotherapy including work-related and post-operative conditions. She is also certified in Dry Needling and Kinesio Taping 1 & 2. Jing Yi has a keen interest in spinal and lower limb conditions, with a particular focus on active rehabilitation and injury prevention. She is also part of the medical team providing physiotherapy service at the Games Medical Centre for the recent 28th SEA Games Singapore 2015 and 8th ASEAN Para Games 2015. In her free time, Jing Yi enjoys gymming, yoga and traveling.